NOTE: If the words n this post don’t interest you, skip to the end and watch the music video anyway. You’ll be glad you did. The more time goes by, the more impressed I am at how much Siddhartha Gautama got right, just by sitting under that bodhi tree and being mindful. Self-acceptance seems like a no-brainer, but for so many of us it is not. “Why does everyone keep saying that?” I asked her. “Are we all just ants running around and asking God to have mercy by not stepping on us?” She replied that it’s not like that at all and I just wasn’t getting it. Maybe I understand better now. If we all started out needing to atone for being alive and being ourselves, I guess we need to ask for a lot of mercy. My beliefs stem from Unitarian Universalist and Buddhist teachings, with a bit of modern science and my own experience thrown in. UUs tend to believe we are born good. Buddhists believe that we are born with the potential to do good things as well as the potential to do bad things. A social scientist might very well say that our genes and our environment (nature and nurture) work together to formulate behaviors that tend to foster our communities (good) while also promoting hostility to outsiders (bad). My own experience tells me that, with a few very rare exceptions, we are born with the intention to do good in the world. and we can help that process along by the choices we make. While our intentions are good, I agree with the Buddhists that we have the potential to do willful evil as well as the potential to do good. My teacher Thich Nhat Hanh uses the metaphor of seeds. If we water the seeds of love and compassion, we will live good lives. Buddhism also teaches that there is no this without that. We can’t have love and good stuff without hate and bad stuff. So while we’re watering our seeds of love and compassion, we need to also give some degree of acceptance to the occasional seed of anger, hate and even evil. Like our thoughts during meditation, we need to accept them and let them be. If we try to force them away, they will grow back like weeds, stronger than before. At least that’s what my intuition tells me. I don’t know why some people do seem to live evil lives. I’ve known two people personally whose lives turned out evil, and I can name both of them without fear of a libel suit because they are both serving life terms without the possibility of parole. I knew them both in the 1960s, when I lived in Powelton Village, then Philadelphia’s counterculture neighborhood. I was always leery of Ira Einhorn. There was something in his eyes that did seem evil to me. But I thought of Kermit Gosnell as a good friend, a kind young man. Either I’m batting .500 as a spotter of evil, or something went terribly wrong with Gosnell after I knew him. I don’t need to get into their crimes here, but if you don’t remember the names and want to learn more, I’ve inserted links to their Wikipedia pages. I intended this post to be about good, not evil, so I’ll return tomorrow to evil. What I intended to stress today is self-acceptance. 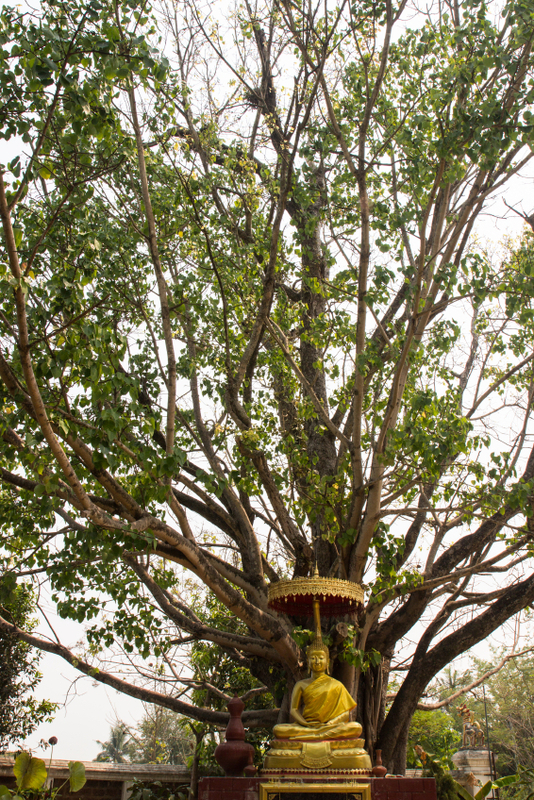 I don’t know if the Buddha really saw it all sitting there under the bodhi tree, His words were not written down until 450 years after his death, and the translations are often murky. But I like believing that he did, and it makes a good story. He saw that we must accept ourselves before we can accept others. So we learn to love ourselves before we turn that love outward to our families, our friends, our neighbors, our nations, the world, and our enemies — or those who we believe wish to harm us. He saw that we are all made from the same constantly dancing cosmic dust, so we are all the same. We are not blemished by original sin. We were all born beautiful, with the intention to do good. You touch on a lot here. It’s so hard to accept yourself, but I think I’ve made a lot of progress on that. I love this post.